Saves displayed online maps into internal database in temporary memory and accelerates their future loading. 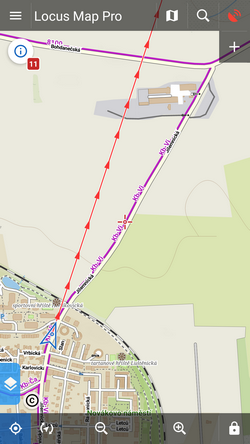 Displays only cached map tiles of online maps to avoid downloading from the internet. If an online map is activated but none of its tiles are cached and this option is checked, the map screen is empty. 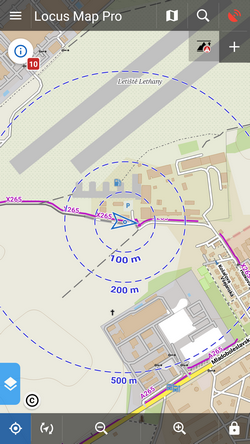 Loads available vector maps according to actual GPS position. 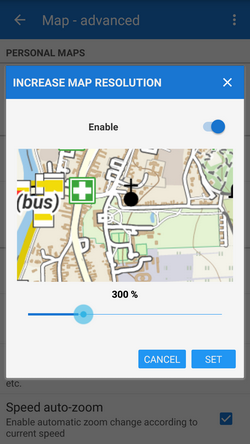 There is no need to select maps when out of one, Locus Map switches it on automatically. 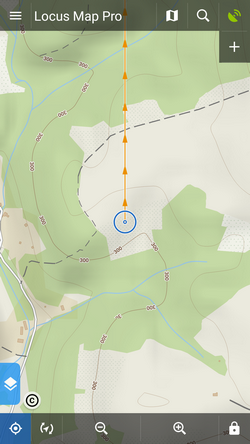 Select one of world online or offline maps for upper zooms so that detailed zooms of your local map are loaded faster. 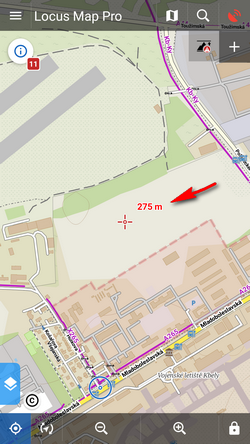 Enables setting size of vector maps texts (names of cities, streets, etc.) on scale from 50 to 500% of the default size. Graphic elements displaying various non-map objects or values. 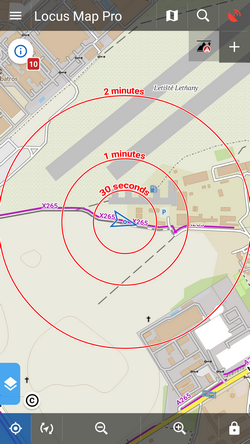 In case the GPS is fixed the circles have different color and indicate distance from the user's location. 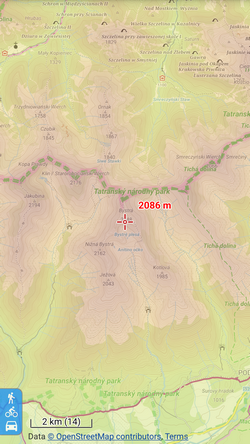 It is based on downloaded offline elevation files (Locus Map Pro only). Useful when trying to maintain a specific course. Similar function to the Show view button on the bottom screen panel. Sets size of texts within auxuliary objects (dynamic altitude, labels etc.) from 50 to 300% of a normal size. Tap Enable and move the slider to adjust the resolution you see on the preview window. It displays the map around position of your map cursor. 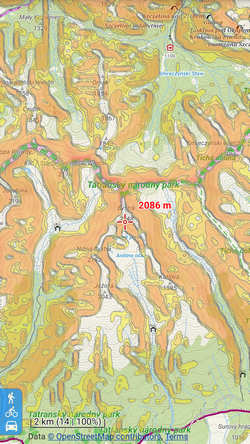 Enables additional shading of map based on offline elevation files. 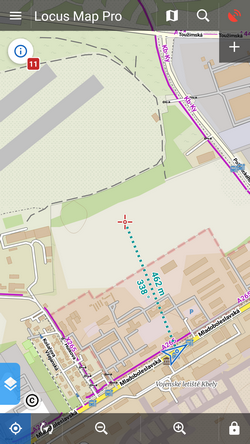 Select which maps you want to shade - online, personal or LoMaps and other vector maps (or all). It is possible to change map color automatically (based on daily time).